The meeting of Save Our Local Community in Thurles last night was attended by rural-dwellers from across the country. A MEETING OF a rural landowners’ group last night attracted as many as 3,000 attendees as the issue of gangland crime in rural areas begins to take centre stage. The group Save Our Local Community, organised by local Two-Mile Borris farmer John Tully, met at the Anner Hotel in Thurles, Co Tipperary in the hope of drawing national attention to the lack of Garda resources in rural areas. In attendance were a number of local TDs and senior gardaí, including Minister for the Environment Alan Kelly, although they were urged to keep their counsel for the duration of the meeting. Speaking on Today with Seán O’Rourke on RTE radio this morning Tully said that the way to deal with urban gangs exploiting barely-policed rural areas is an increase in resources. The issue of rural policing has come to the fore lately with the conviction of seven Dublin-based men for attacking and robbing the Corcoran family in Co Tipperary, who were subjected to a harrowing ordeal. “There’s some who’ll be sleeping with shotguns and the like, but that’s not the way to deal with it,” said Tully. The way to deal with it is to change the law, and let the gardaí deal with it; we don’t shoot people or deal with crime. 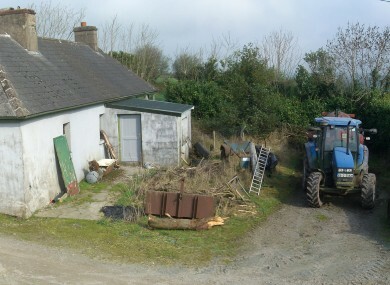 With Tully on the programme were two local dairy farmers, Barry O’Gorman and Conor Molony, whose farms have been burgled five times between them over the last five years. Molony spoke of not previously being able to identify with the victims of crime until it happened to him personally. “There’s a sense of paranoia and fear that comes with it. You’re walking into your dairy and you’re wondering ‘who will I meet?’,” he said. O’Gorman said that the “government has the power” to fix the problem, and that something has to be done with the punishments handed down to repeat criminals. They get a €100 fine and they don’t pay it, so I say put tags on them, and cut their social welfare. We need more gardaí on the beat, more cars, more presence on rural roads. Tully said he’s delighted that people from so many other counties, not just Tipperary locals, attended last night’s meeting. “I never envisaged a crowd like we had last night, they say 1,500 were in attendance but I think it could have been twice that,” he said. We had people from Mayo, from Meath, from Louth, from Kerry, and we’re going to try and spread this initiative now. Asked whether the issue of rural crime is a political one, Tully replied “I wouldn’t tolerate what’s going on in politics”. This has been an issue for four years, well now we’re not going to take it any more. We want an increase in Garda resources, not people jumping on the bandwagon because there’s an election. “People are no longer going to sit back and accept this, they’ve taken on the wrong group,” Tully added. Email “"They've taken on the wrong group" - 3,000 people attend meeting to combat rural crime”. Feedback on “"They've taken on the wrong group" - 3,000 people attend meeting to combat rural crime”.